Goats are funny creatures. People don’t believe me until they visit but there is nothing quite like a goat. (Except maybe a dog) They are so full of personality and each one is different. 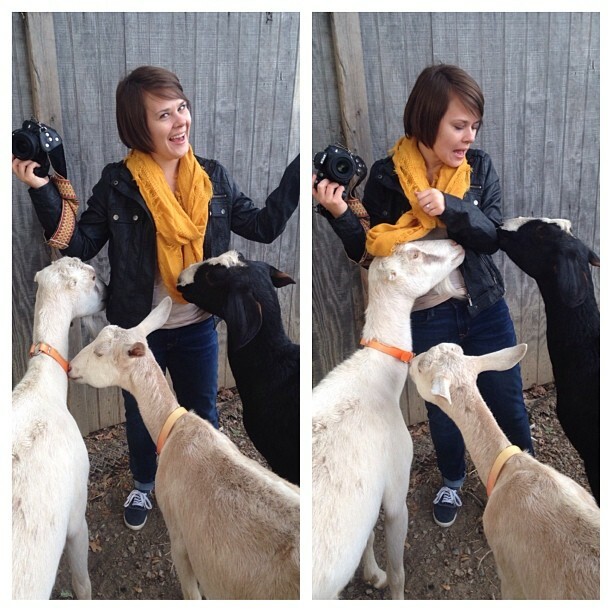 We spend a lot of time with our goats and because of that they are crazy friendly. Just ask my favorite photographer and good friend, Meagan Avritt. I think she was pleasantly surprised at how fun these sweet girls are! Now, let me say this. I love all of my animals (dogs, goats, ducks, and the occasional chicken! It’s a joke don’t freak out folks). We try to provide the best care possible for them. One thing I have always been told you learn when you have children also applies to goats… Everyone wants to tell you how to raise them and what you are doing wrong. Yea. We started the process of selling our small herd about a month ago. Goodness has it been a learning experience good and bad. I have learned there are crazies in the world, there are those who think everything you do is wrong, and there are wonderful people in the world. I have had so much anxiety about selling my girls. I hate knowing they may end up in bad homes (like our rescue Julie). In the last month I have placed my girls in some WONDERFUL homes. I cannot be thankful enough. But, I have also had my girls go to homes that I thought would be wonderful only to find out they are no longer there. Talk about heartbroken. However, what I did not plan for was what I am calling The Great Goat Depression. 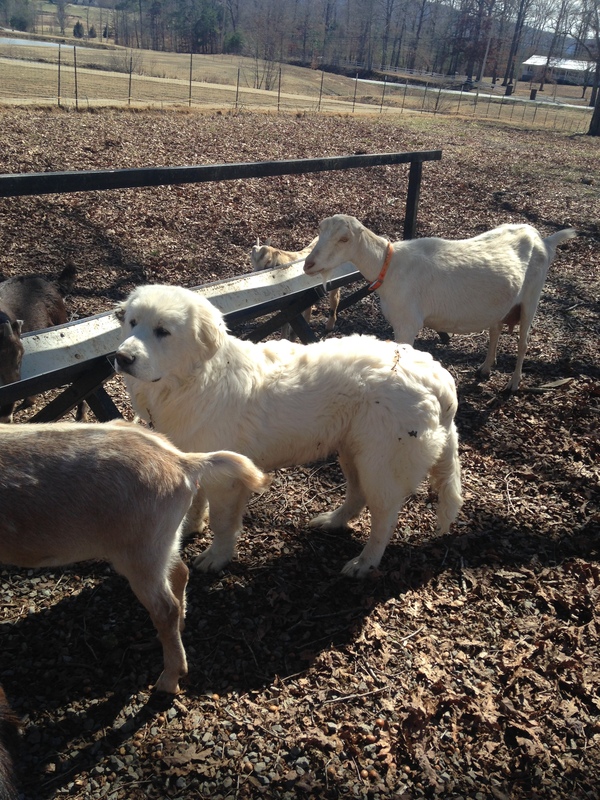 It should really be called The Great Goat and Great Pyrenees Depression but that is too long. 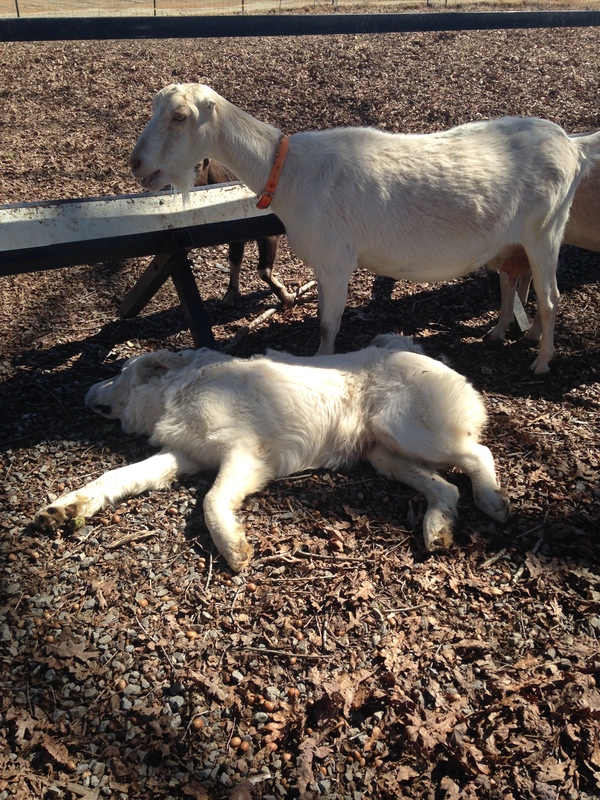 As our herd has dwindled down I have noticed the other goats and Hercules and Hebe moping around. So, Justin and I made sure we were spending extra time with everyone, trying to lift their spirits. Well, last week we loaded up Giselle and her three babies (we had already sold Greta, and Georgette, along with Georgette’s triplets, and Gigi). This just left Julie (who will not be sold), Gatsby (my little runt), and Gretchen and her two boys. Only FIVE left. The crying and howling that commenced at our gate from Hercules and Hebe was heartbreaking. Justin texted me the next day (he was home all day) and said no one (goats included) had done anything all day. No walking around eating, no playing, nothing. They were just all laying around…depressed! If you don’t think animals have emotions…boy are you wrong. So, we have amped up the time we spend with them (hilarious if you know us…we might as well start sleeping outside) and things have improved. Gretchen and her boys will be gone soon and I hope the depression doesn’t ensue again. I know that next month when the babies are brought home all will be right in the world again at Maynard’s Farm but until then I need Roosevelt and a New Deal to help us survive this Great Goat Depression! Hercules is now the size of the goats! He’s only seven months!